Today was a day for wildflowers. We got to the trailhead at about 8:30 am and started hiking. 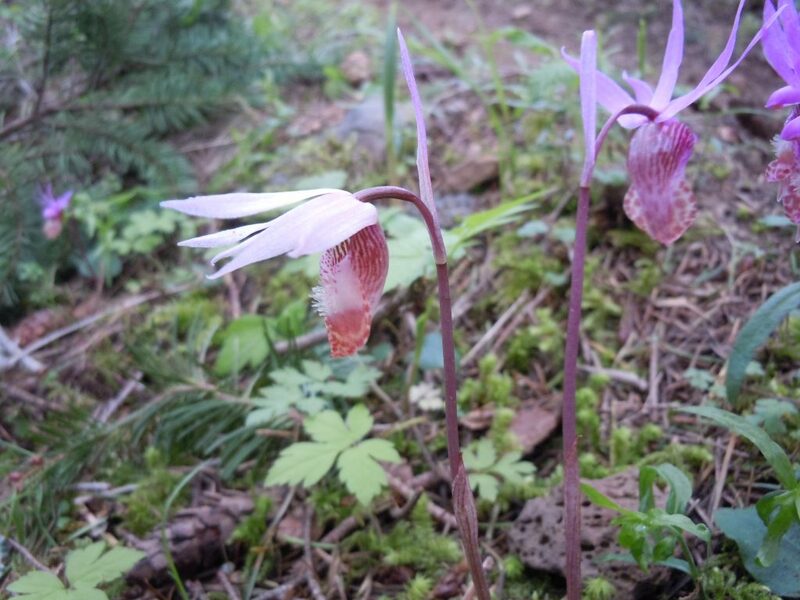 Right away we were treated to various colors of blooms: stinkybob, false solomon’s seal, vanilla leaf, fairyslipper. And then my favorite: coralroot. 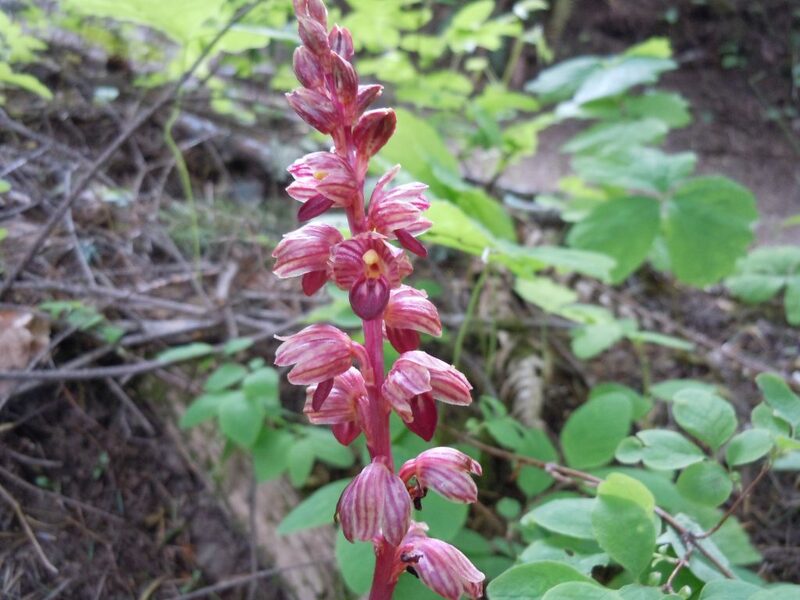 Coralroot is a type of orchid: a parasite that gets its food from mycorrhizal fungi that live in tandem with the plant. Unlike most plants, they do not photosynthesize. Plus they look really pretty. But there were more surprises to come. In addition to the usual suspects, I discovered a checker lily. 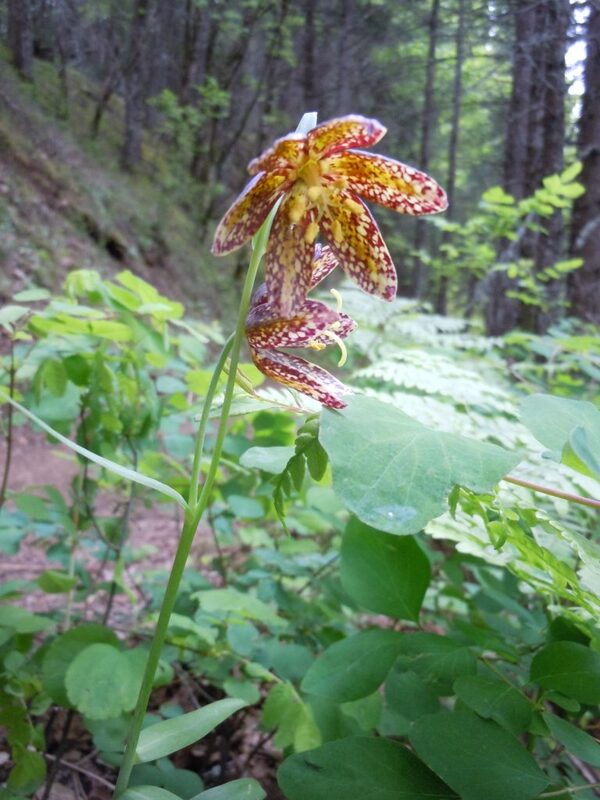 Its brownish flower with yellow spots makes it a very unusual addition to the forest. Our pace was slow as I stopped to take photos of as many different species of flowers as I could. I’m no expert naturalist; most I couldn’t identify in the field. But after the hike I knew I’d pull out the wildflower book and try my best to figure out what I’d seen. Dying trillium is one of my favorite flower subjects. The three-petaled flower is a lovely white in its prime, but gets tinged with purple as it starts to die. 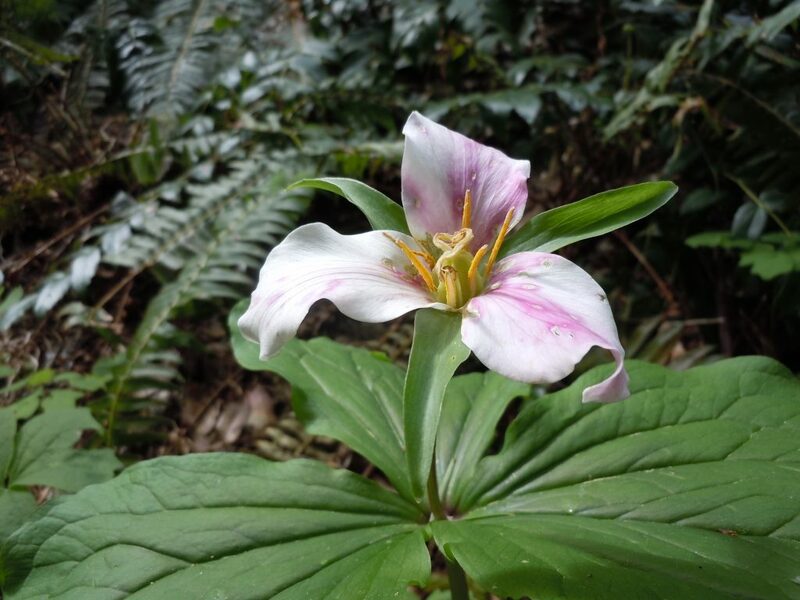 I took a ton of photos of these fading trillium as we plodded our way upward. The trail itself was narrow and steep, leading up through the woods. Near the top of the hike we finally got a view of the Gorge, which lay beneath a thick ceiling of gray clouds. 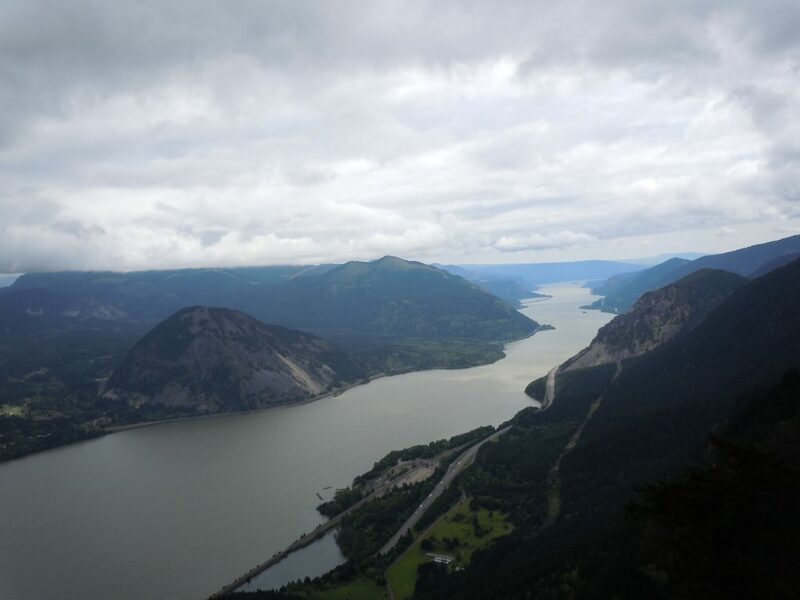 In all directions the views were dramatic: sheer cliff faces, moody clouds, curving ridgelines. We hiked as far as we were comfortable then dipped back down into the woods. More flowers appeared: glacier lilies, Oregon grape and Oregon anemone. Plus, there were cool-looking fungi and other non-plant, non-animal things in all shapes, textures and colors. Today was just about as good as it gets: no people, tons of flowers, decent weather. A far cry from pushing through the mobs at Angels Rest or any other popular trail in the Gorge! This entry was posted in Hiking, Oregon and tagged hike366 on May 30, 2011 by Jess B.